The Quality of a Home Theater! Have more fun With a Home Theater! 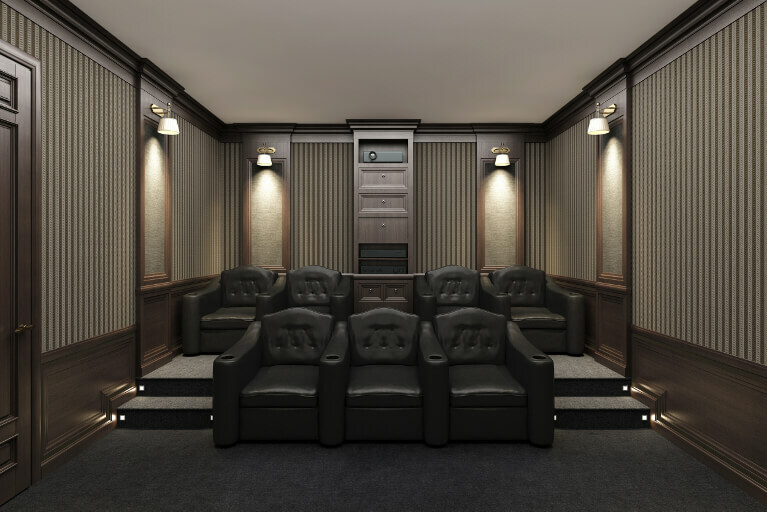 SoundWorks & Security works with you to integrate a system that will fit discretely into an existing living space, creating a true theater-like atmosphere! 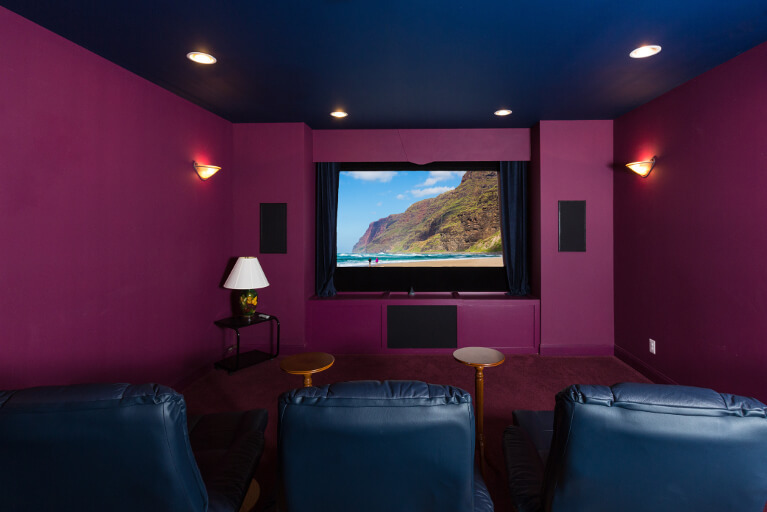 A properly designed system can rival a movie theater...with all the added comforts of home. When most people think of surround sound or home theaters, the first thing that comes to mind is the complicated nature of the system and a multitude of remotes. 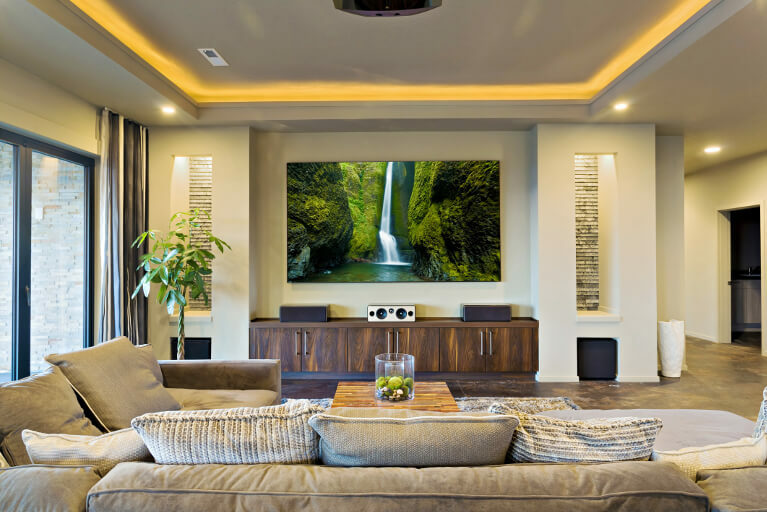 SoundWorks & Security strives for a harmonious balance of all system components and will seamlessly integrate all of those remotes into one easy-to-use control! Flat-Screen TV....Plasma or LED TV? Ah the classic debate, which is better, Plasma TV or LED TV. It's the same as debating that the Red Sox are better than the Yankee's or whether Chocolate ice cream is better than Vanilla. So We'll say this, the Red Sox are better, Vanilla is better and whichever TV you like the picture of is better. There is no clear right or wrong for TV's these days. They both have big screen sizes, both are now affordable and both have great picture quality. 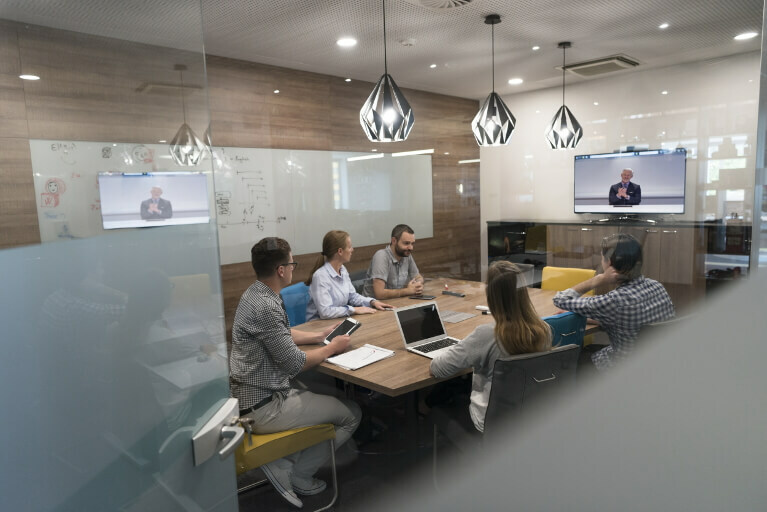 Almost all TV's are Smart, meaning they can access the internet for streaming video content from Netflix, Hulu and other internet content providers. So with that being said, there are a couple of differences between the two formats that may sway you in one direction or the other. "Refresh rate" is a term used to describe how fast the picture refreshes itself, the higher the refresh rate the better. Problems with refresh rate are most evident in the picture quality during fast movement in the show such as with sports when the ball is moving or someone is running, there will be a slight blur to the ball or legs. For LED the standard is 120 Hz or 240 Hz with processed refresh rates up to 960 Hz processed means that the manufacturer is using a computer program to add content in the picture that is not native to the signal. Not a bad thing, but note it is artificially generated and there could be errors in the picture. For plasma the refresh rate is 600 Hz standard so a plasma can handle fast action better. Color quality is another subtle difference between the two. Plasmas tend to have a better color because they make a better black level or a darker black. Behind each color pixel on a plasma is a small gas chamber that turns on and makes light when it is supposed to, when it's off there is no light on so it is a deeper black level. LED has a liquid crystal diode behind each color pixel, in front of a large light behind the panel that opens and closes behind each color pixel when told to create color. Because the shutter leaks some light when the pixel is in the off state, the color can "bleed" some light to the pixel next to it, a slight red from a red pixel still slightly on that can make the color to bright, similar to the way the new LED Christmas lights look nowadays, over bright if you will. For this reason a plasma TV's color tends to look more realistic than LED. Two other attributes may also sway your choice of TV. Brightness level in LED TV's tends to be higher so they look brighter. This is due to the fact that they have florescent or LED lights behind the panel which is more intense than plasma TV's therefore a brighter picture. This can help in a room with a lot of windows as it will help overcome a brighter room or when there is a lot of daytime viewing. Another factor to consider is the fact that the surface of a plasma tends to be more reflective than an LED TV. The windows in the room may show up in the picture of a bright room or that lamp next to you on an end table could show up in a plasma and block some of the image on the screen. LED panels have non-reflective surfaces so they don't show the window or lamp in a bright room. Either TV has excellent picture so the choice is more of what suits your needs or preferences. But another thing to remember when choosing a TV, when you look at the wall of TV's on display wherever you go, this is the last time you will see them side by side. When you bring one home and set it up by itself it will be the best looking TV you have ever seen.